Enjoy the top 2 famous quotes, sayings and quotations by Nina Berman. A camera can get you close without the burden of commitment. It's a nifty device that way, a magical passport into people's lives with no permanent strings attached. 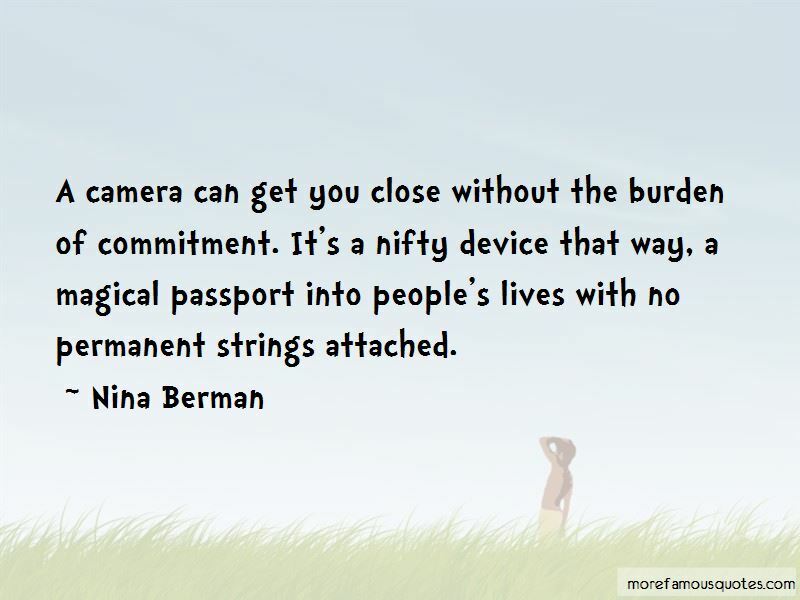 Want to see more pictures of Nina Berman quotes? 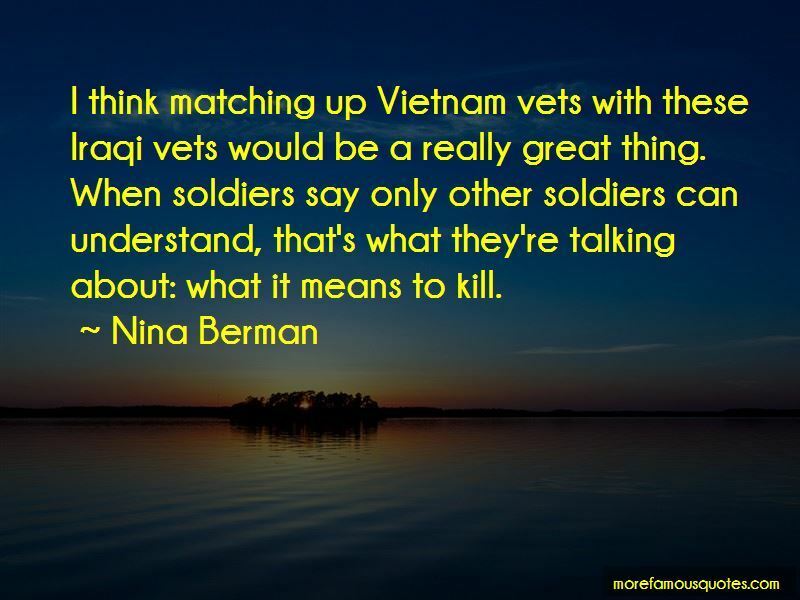 Click on image of Nina Berman quotes to view full size.